I LOVE quilt designers, Quilt books and quilt Fabric! When a designer has written a new book... if it is their first book.... for the 30th.. I'm so excited to see it! 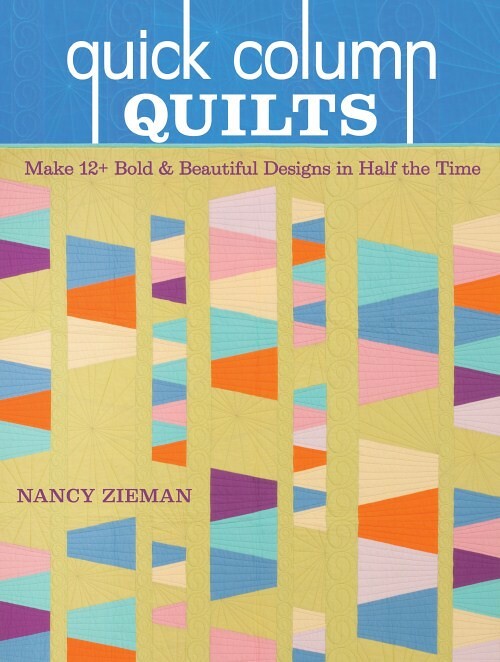 Nancy Zieman’s Quick Column Quilts book has fabulous projects and 'in half the time'.. what's that all about? let's look at two of the quilts in the book. All the books are what I could call a 'strippy' setting, but more contempory and modern. Many use a limited number of fabrics and largers shapes. The floating squares has just 2 colors and i really love the THREE sizes of squares... it's different and has a super visual punch. More Modern art, right? 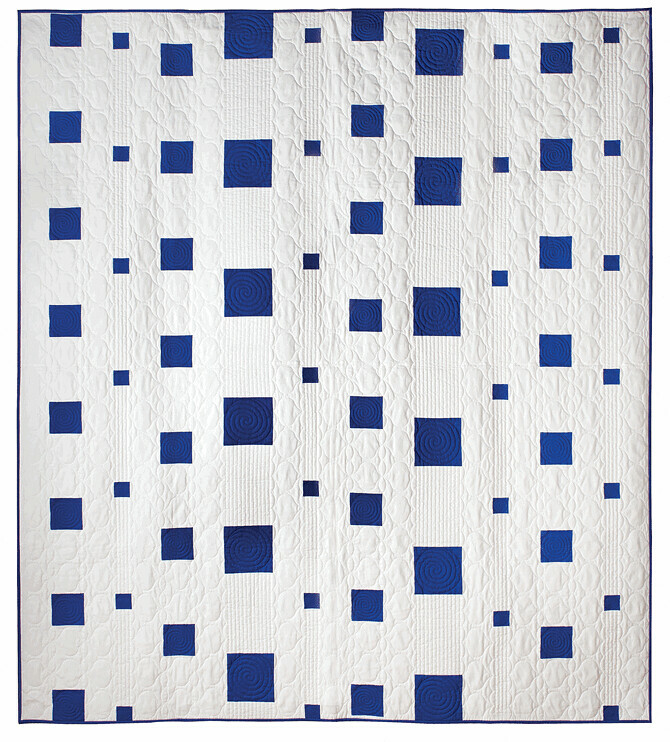 The quilting is simple, it's something you can do, or at least simulate. 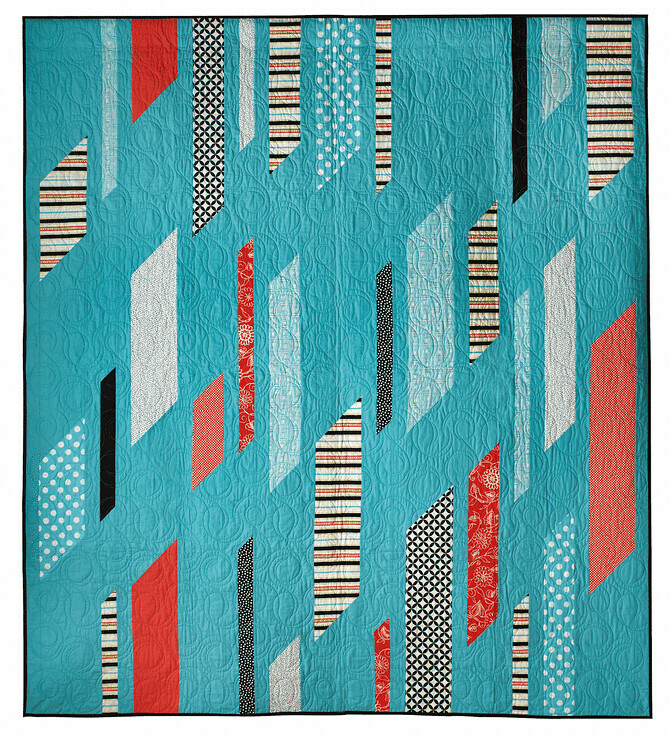 The next quilt I want to share is Windchime. The name REALLY describes it! I can see a summer windchime hanging on the porch, making tinkling noises.. right? Here she expanded the number of fabrics, but kept the colors very 'tight'. 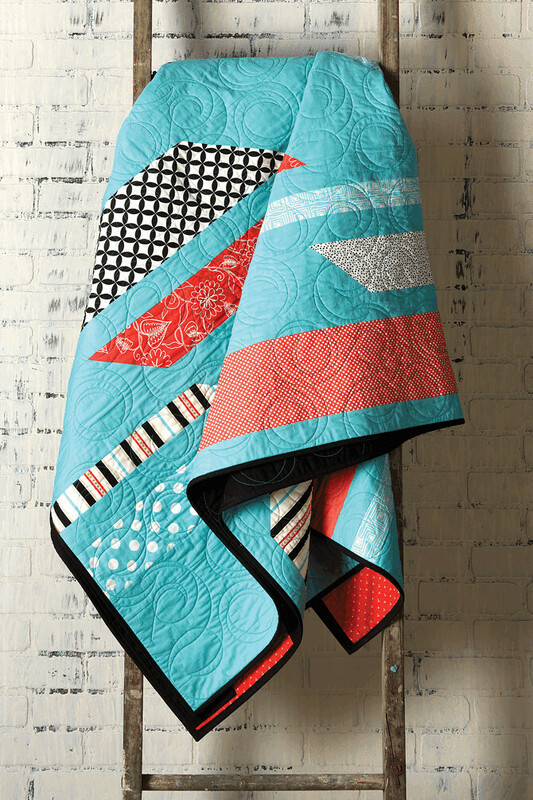 The quilt is AQUA.. no doubt about it, but I love that the orange is repeated in many of the prints and then there is the black giving it a spark. Who knew BLACK could be a spark? Well I think it is.. what do you think? This is the quilt I'll make from this book, I have a little sticky note in it.. wink! NOW I need a ladder, if you have been with me awhile you know I'm obsessed with getting a ladder to hang quilts. Why hasn't this happened yet? Well I don't know! 09/10/14 Designs in Machine Embroidery and ME! !